REM Services makes renting out your home easy - but we understand that home owners have a lot of questions? We try to be clear from the beginning and have has much information as possible to we've put together a few of the most asked questions we get! What does REM Services do for Rental Owners? We manage every aspect of your rental for you, our goal is to enable you to make the most from your property without having to do any of the leg work. This means we do everything from taking the photographs, writing the specs and descriptions and marketing your property to potential tenants. We can take care of managing the logistics like, move in inspections, payments, screening the tenants, tracking down references. We make sure home owners can sleep well at night knowing that their rental is being taken care of and generating the most revenue possible. 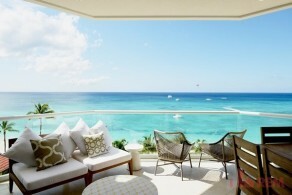 Industry standard in the Cayman Islands is 100% of one months rent on a 12 month tenancy. If the tenancy is less than 12 months the fee is negotiable. If we were to provide you with our full management service, our fee is based on a percentage of the monthly rental. Try us for a year and let us prove our value, we are sure you will continue to use us. Getting started is easy and risk free. We can have your home listed and on the marketing sites within a matter of hours. Our contracts run for 12 months, with no start up fees. Normal activation, will include shooting new photos, putting together your descriptions, setting a price and putting your property live on our site and any other marketing site available to us. This process can take a little longer depending on the home owner's schedule, if the house is already tenanted or if work needs to be done in order to have the home ready for a rental. If you do not like the service you can terminate our services at any time with a 90 day notice period, without penalties. What kind of contract to I need to sign? Our contracts are straight forward and can be sent through to the home owner via email. Please contact us and we can send you through our agreement for your review. rent@remservices.ky. Is there anything I am required to have in my home? This will all depend on if your unit is going to be rented, fully furnished, partly furnished or unfurnished. In the event of a full furnished rental - potential tenants are expecting the home to be turnkey when they move in, with furniture, appliances, cookware, glasses, silverware, etc, as well as a standard supply of bed linens, bath and hand towels. We will work with you to make sure that you have everything in place. Internet and TV service is optional which can be included in the rent or it becomes the responsibility of the tenant. We suggest that you put yourself in your tenants shoes when deciding what your unit needs - what would you want in a rental if you were renting somewhere long term.....that is what we aim to provide our tenants. How do I set my pricing for my rental? REM Services Ltd will take the time to do some market research on other homes in the area and what they are renting for, keeping in mind the condition of the property, the location the size and what is provided. What kind of financial reports do I get on my unit? You will receive a monthly statement from us that details out how much rental revenue you earned, including any incidentals paid out or services provided, be it AC, Plumbing or general maintenance. What happens if there is an emergency? Who does my tenant call? The tenant always calls REM Services Ltd. We take the call and send out the appropriate service providers or maintenance team, we then pay any bills that may arise and bill the owners account accordingly. Once the payment is due, we use the funds accumulated in the account, therefore you will not have to worry about any out-of-pocket expenses for anything unless there is a major repair.